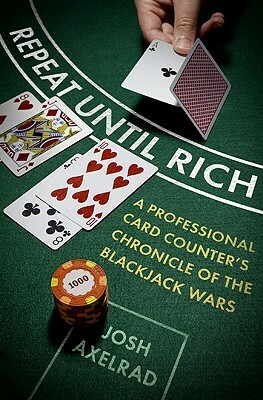 Josh Axelrad played blackjack professionally for five years and poker unprofessionally for one. A graduate of Columbia College, he languished briefly in investment banking before he turned to cards. His personal win as a card counter, at $700,000, has left him eighty-sixed from the finest casinos in Vegas and around the United States. His subsequent losses at poker (exceeding $50,000) have cost him credit privileges at the Internet's most reputable poker rooms. A commentator on the casino industry for National Public Radio's Marketplace program, Axelrad also performs at Stories at the Moth in New York and has been featured on the award-winning Moth Podcast.